Front: Happy St. Patrick’s Day. Inside: Wishing you good cheer and the luck of the Irish!. 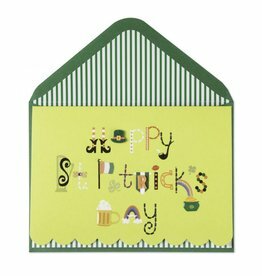 Papyrus St. Patricks Day Greetings Cards Perfect for wishing the Luck of the Irish wishes for the St. Patricks Day Occassion.